The market outlook for 2019 reported a slowing down in the increase of wages but high demand for certain job sectors in Singapore. This was according to Randstad, one of the top recruitment agencies and headhunters in Singapore. The sectors to have great demand for employment would be information technology and communications, life sciences, and digital marketing. According to the report, the employment scene for the technology sector will be bullish in 2019, with demand exceeding supply due to the digital transformation projects ongoing in Singapore and new technologies are being adopted at a rapid pace. 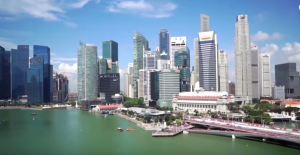 Singapore has positioned itself as a major industry player in the financial technology (fintech) sector. Financial technology utilises technology, such as the internet or apps, to provide some kind of financial service. This sector is increasingly attracting job seekers from both the financial and tech sectors with its high salary and benefits packages. Fintechnews in its December issue listed 13 promising Singapore based Fintech companies which will be instrumental in setting a direction and purpose for 2019. These are BetterTradeOff, AutoWealth, Sqreem, Finantix Asia Pacific, Accuity, Cardup, Bambu, Revolut, Grab, Razer, CCRManager, Cynopsis Solutions, and Thin Margin. Another sector where manpower would increase is cybersecurity. The government has invested heavily in developing talent, while companies across various sectors are looking to strengthen their cybersecurity teams to fend off cyber attacks, Randstad stated. A higher demand this year for the life sciences sector was also reported. Data scientists and data analysts are the jobs that to be filled in. Life sciences companies want to hire better-qualified candidates such as those with PhDs and Master’s degree holders to work as medical science liaison officers (MSLs) to engage healthcare professionals. Randstad sees a spike in demand next year for techno-commercial roles, specifically MSLs and application specialists. Increase in the salary for these jobs are expected to rise up to 10 percent and for those high-performing potentials might get up to 15 percent higher. Strong demand for specialised accounting and finance professionals was also seen this year. Companies are expected to actively hire experienced internal auditors with strong data management and analytical skills. New roles within the tax functions with the expertise to handle narrow and specific job scopes such as corporate tax, transfer pricing and goods and services tax would be particulars for some companies. Randstad stressed that 2019 will be a good time for job seekers to understand the market’s demand for their skills and identify opportunities for potential development. “It is important more so than ever for candidates to take the initiative to understand key market trends, identify their skills gaps and how they can acquire those in-demand skills to increase their chances of getting the job,” the report added. Randstad Singapore, located at Singapore Land Tower, is a leading recruitment agency that specialises in executive search and HR solutions. It claims that their recruitment specialists are experienced in all key industries and across all professional levels from regular temporary staffing and permanent placements to in-house services.